The Carolina Reaper vs. the ghost pepper is like Ali vs. Frazier of the hot pepper world, at least in terms of pure power and popularity. In the ghost pepper you have a rock star and internet YouTube sensation. 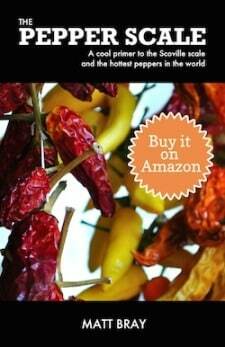 In the Carolina Reaper, you have the blazing up-and-comer that has shocked the world. These are two mega-hot chilies, there’s no doubt. But what are the differences and how easily are they found? Let’s review in our PepperScale Showdown. When you are dealing with the super-hot peppers like these two, the conversation of heat differences is splitting hairs. They are both wickedly hot. They are so hot that it’s best to use gloves to just hold them. The ghost pepper is so hot that it’s used in military grade pepper spray. And the Reaper? Double the ghost pepper heat and that’s where the story begins…or ends…in a mouth aflame. The ghost pepper tips the Scoville scale at a walloping 855,000 to 1,041,427 Scoville heat units. The Carolina Reaper eclipses it at 1,400,000 to 2,200,000 SHU. Let’s put that in jalapeño reference point numbers that we can all grasp: at the minimum, this duo will be 107 times hotter than a jalapeño (the mildest ghost pepper to the hottest jalapeño) and at the max, we are talking 880 times hotter (the hottest Carolina Reaper to the mildest jalapeño). Ay yay yay. Sure the Reaper wins on pure SHU (it is currently the world record holder), but really gloves and a gallon of milk are needed for eating either of these chilies raw. That’s NOT recommended by the way, but plenty of people go for the ghost pepper challenge. 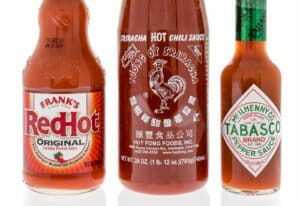 Their real culinary following comes as the foundation for extreme hot sauces and salsas than as a raw cooking pepper. These are just too hot for most everyone unless the pepper extract has been diluted with other ingredients. Both of these peppers have a surprising sweetness to them, but the Carolina Reaper has been bred to be likely the sweetest super-hot pepper of the bunch. You do get to taste these peppers before the heat hits. It’s a slow burn in the case of both chilies – it takes 30 seconds to a minute for the heat to begin to hit and then it intensifies over the period of half an hour before dissipating. 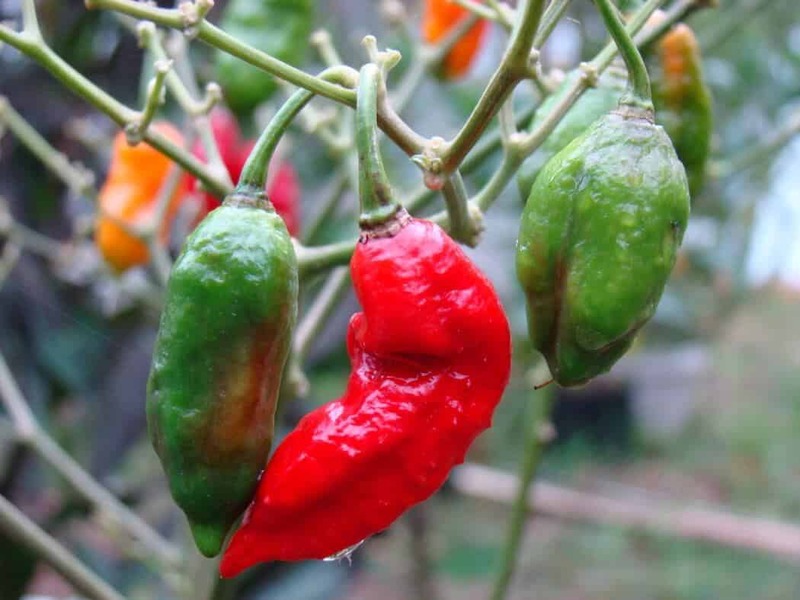 The sweetness of both of these chilies is often taken advantage of in hot sauces, by pairing these chilies with tropical fruit and other sweet ingredients. 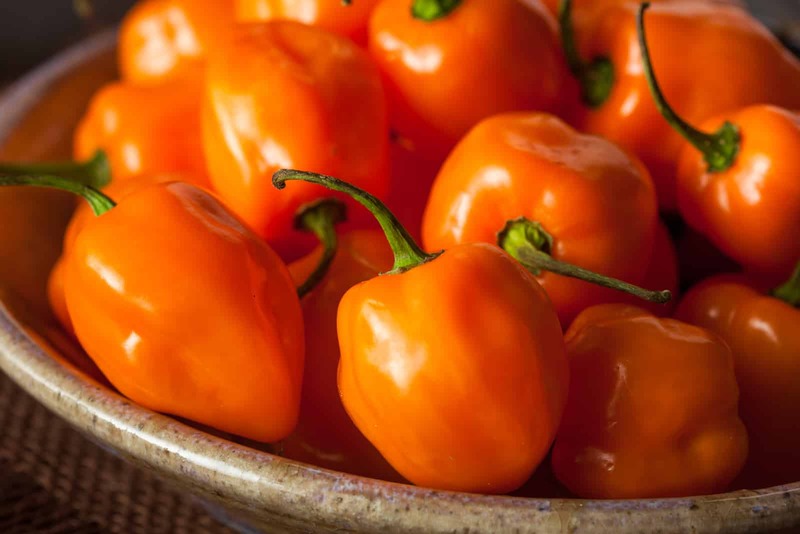 In this way, they share a lot with the milder -yet-still seriously hot – habanero and scotch bonnet chilies, though these two are available in a lot more places. Are they available fresh in stores? Rarely ever. These peppers are just too hot for the general store. 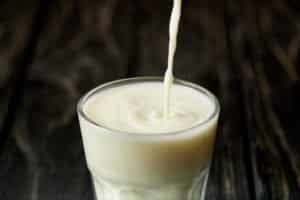 Some specialty stores and farmer’s markets may carry them, but you’ll need to shop around. On Amazon.com, you can find dried ghost peppers and Carolina Reapers. That’s likely your best bet unless you grow them yourself. How many products use these peppers? 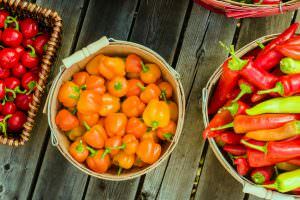 These are two big-name chilies, and there are many hot sauces, mustards, salsas, powders, rubs, and other spicy foods that use them. Through online vendors, you can buy many ghost pepper and Carolina Reaper hot sauces and more. And there are a few brave supermarkets that’ll carry ghost pepper hot sauces. 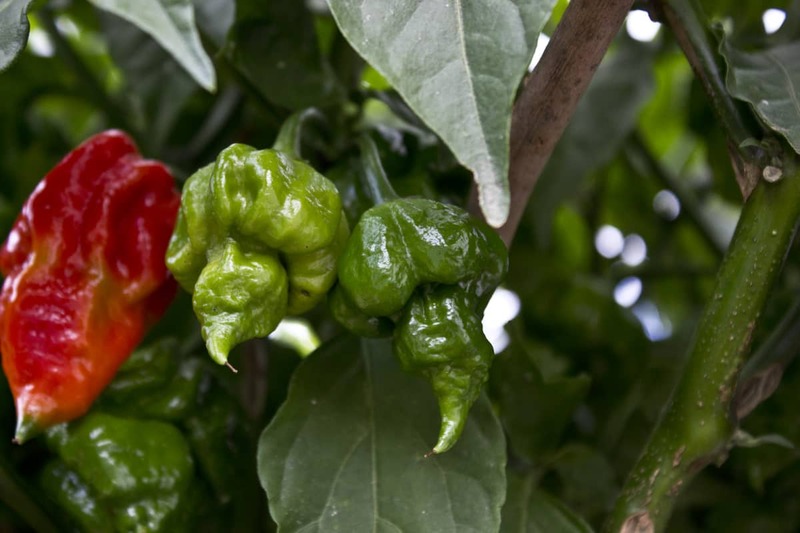 Be sure to check out the PuckerButt Pepper Company too – the growers of the Carolina Reaper. Their store carries a nice selection of Reaper products. Sure the Carolina Reaper is the winner in heat, but the ghost pepper overall is just more widely available – at least in product form. Its reputation has built a cult-like following over the years that’s hard to topple. But the Carolina Reaper’s rep is growing quickly. 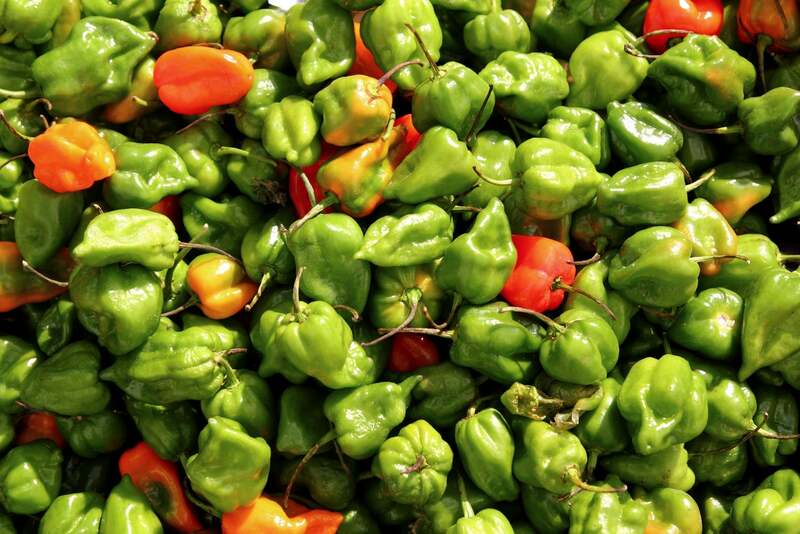 It has the wicked name, the heat, and the taste to be the new chili pepper rock star. For both of these chilies, use caution. This is spiciness that’s not for the timid. It’s not even for the mildly adventurous. These are for extreme eaters who seriously love the pepper scale. For the mildly adventurous, we recommend exploring the habanero and the Scotch bonnet – still seriously hot, but you’ll keep your sanity intact.